Have you ever wanted to express your love for Anker to the world, but felt words just didn’t do it justice? Do you have ideas that are swimming around in your brain, but you haven’t found a medium to fish them out and serve them up? We want you to come up with a T-shirt design that will represent your fellow community members. We will be choosing the winning design as the official Anker community T-Shirt and will also send one to the top 10 designers! We may also include this design on future community swag that we create. You can use any platform you like. From the default paint program to photoshop, the world is your oyster. Here are a few free, easy, online design programs if you don’t know where to start: https://pixlr.com/, https://snappa.com, and https://designer.gravit.io/. You can brag to your friends, family, and most importantly, your fellow fans about your fashion-designer status! The contest will run from today until the 13th of February, so get to designing! 1. Create a T-shirt design and post an image of the design in the comments below. 2. Each submission should contain at least 1 T-shirt design picture, and a description of your design/creative inspiration, posted in the comments. Note: please don’t put your design inspiration in your picture. 3. The design must be your own original and unpublished work. By entering the competition, you affirm that your submission is your own work. 4. Designs including art, text, and/or photographs are all acceptable. It is recommended that designs use no more than three colors. 5. 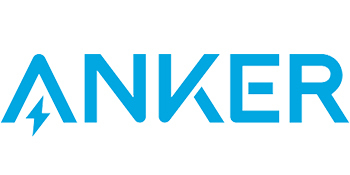 The Anker logo has to be in the design in some form. We recommend you use the image we have posted below. 7. We will choose 1 contestant’s design work and apply it to the final version of the T-shirt. We will reward the top 10 contestants who got the most likes with the T-shirt as well. 8. Event runs from January 30th to February 13th. 9. Winners will be announced on February 15th in the community. 10. By submitting your design, you grant permission for your design to be used by Anker. We reserve the right to make changes such as image size, ink or T-shirt color before printing. 11. The creator of the winning design will receive credit on the T-shirt and public recognition on the Anker Community. Anker reserves the right to final explanation. Thank you for participating in our Design Contest! The community team and the creative team have seen everyone's work and appreciated your effort and creativity! The winner is @TheCharneco. We will apply his design work on the Community T-shirts. Awesome to see another t-shirt design contest. I'll start working on some designs ASAP. Old styled boy as I am I NEED a shirt with buttons. I’m definitely up for this! I’ve already got a rough idea floating around in my head... let’s see if I can make it a reality. That will be a nice and funny contest! And the community has to vote for the best design! As design is a serious but dangerous job! I'm excited to see all the cool deigns members of this great community will come up with!! Can’t wait to start designing! I wish you didn’t have to be level 7 to get one though. I missed this bit of information the first time I read the OP. @AnkerOfficial could you give us a little clarification on this? Will the T-shirt be sent to all members level 7 and above or the top 10 contestants with the most likes? Had the same thought as well on this. Seems anyone above 7 will get it, and the top 10 will also, no matter which level.